With Geordie getting bigger and more active I started to build his outdoor shelter and run. As he was still very small I was worried about a number of things, would a fox attack him at night? would he be too cold?, would he be lonely? 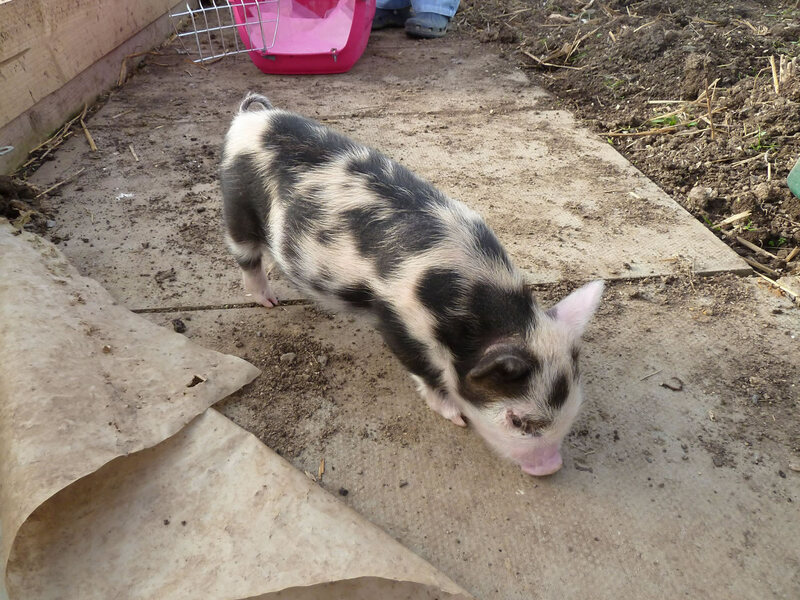 It was worse than being a parent for the first time as we had no experience of raising a pig. We identified the area where he was going to be kept along with a larger area for him to roam around. 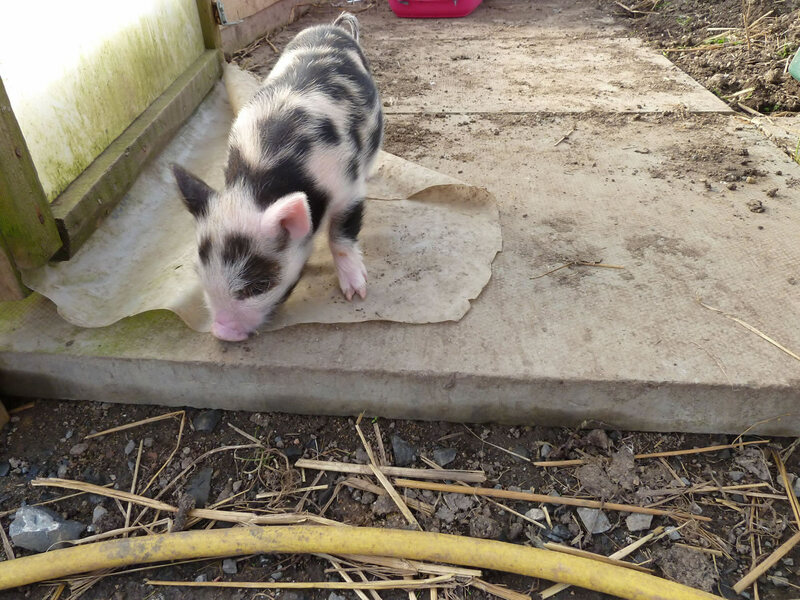 My first objective was to build a pig house that would be warm inside yet able to handle the 90 mile an hour winds we occasionally experience in the Scottish Highlands. I also wanted to create a paved area where we would feed him and to help keep his toes short (with no hard standing for them to wear down their toes naturally they often need to be clipped). This involved using most of the timber I had recently purchased to build raised vegetable beds to create a small protected area for our Kunekune pig. This meant I used a lot of timber to create a raised shelter around the run as we tend to get cold, consistent wind in the area, especially during the winter and I wanted to give him some protection from this cold wind. The timber was also used to build a fairly large pig shelter that had a double skin of timber. In the end the raised vegetable beds were sacrificed to make a protected area for our kunekune pig. 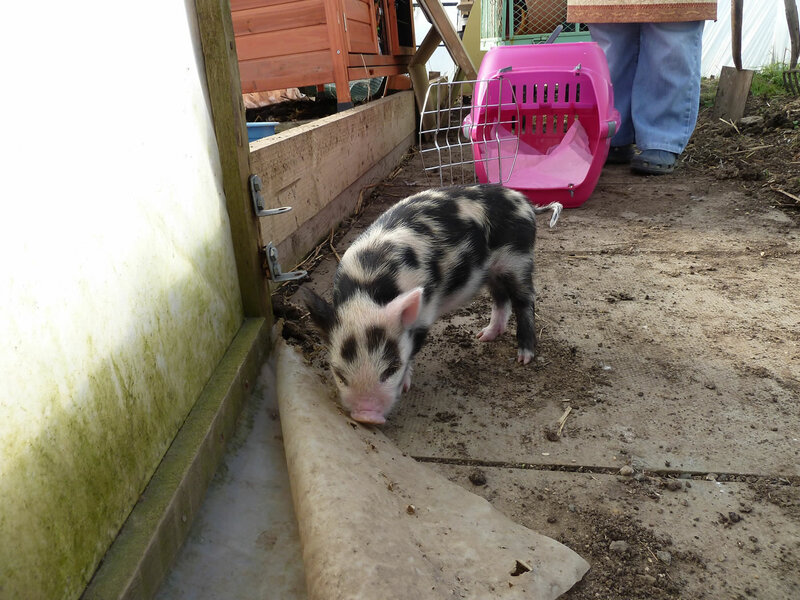 Geordie loved getting outside to explore, even as a 15 day old pig who had been hand raised from 1 day old. Here he is exploring and investigating the polytunnel. We were still transporting him from the house to the outside area in the cat carrier as he hated being lifted and would squeal like we were torturing him. I am not sure that Geordie was very impressed with my slab laying or other gardening work on the croft. 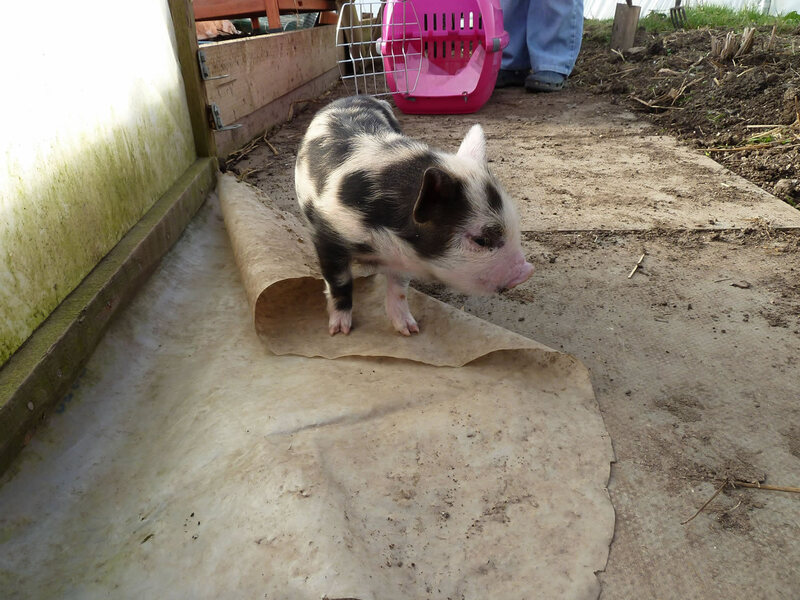 Our pet pig inside the polytunnel before we had finished building his outdoor run and pig house.